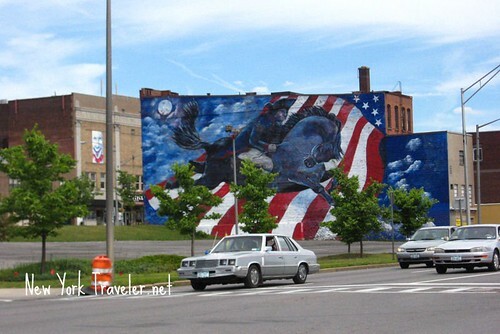 Central New York is most known for its historical significance, but this area is also very popular for sports attractions. 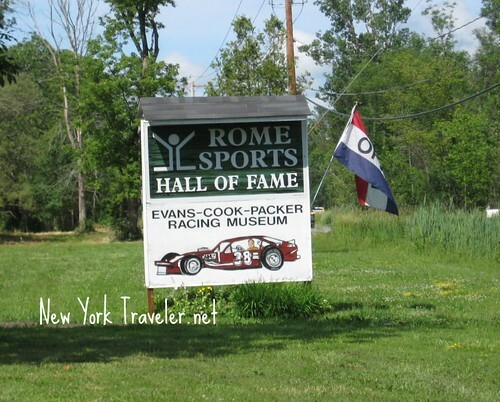 The Boxing Hall of Fame is in Canastota, NY, (I have yet to see it), and the Rome Sports Hall of Fame is in Rome. We visited the Sports Hall of Fame the same day we visited the Erie Canal Village. 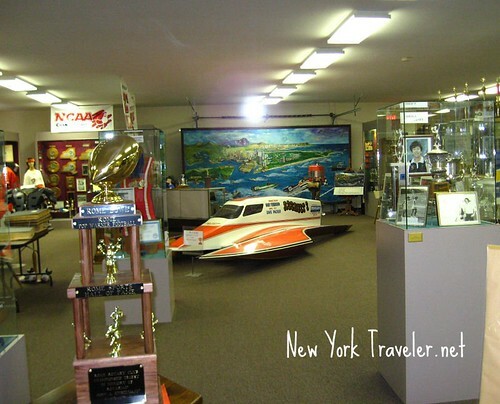 The Rome Sports Hall of Fame is right next to the Erie Canal Village, and admission is free. I know almost nothing about sports, so I just wandered around and took photos. 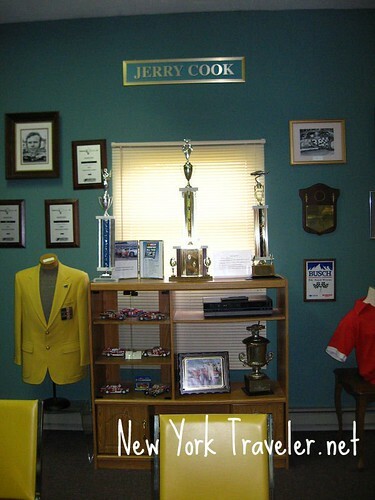 There are multitudes of sports memorabilia, for local and national sports. 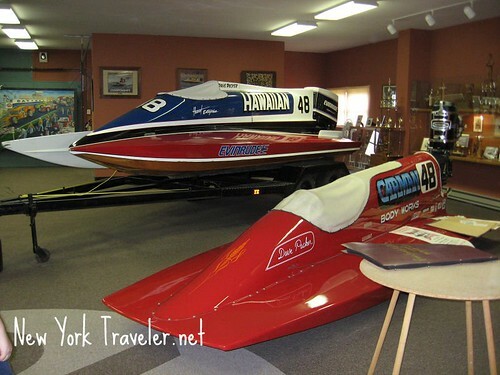 Two of the most prominent displays are for Richie Evans and Jerry Cook, Rome natives and NASCAR champions. 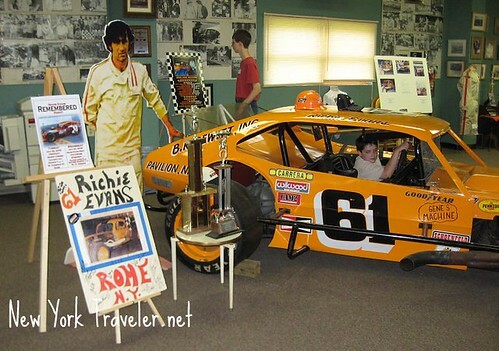 Richie Evans died in a crash in 1985, racing at the Martinsville Speedway. 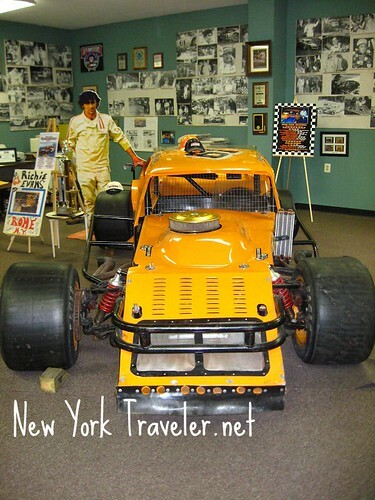 His career was stellar; he was a local champ at the Utica-Rome Speedway, and climbed the ladder to be win the NASCAR National Modified Championships nine times. Jerry Cook also started his career at the local Utica-Rome Speedway, and won the NASCAR Modified series six time. He is retired and lives in the area. You can see a few more of my photos of the museum here at my Flickr page. Rome, NY, is one of my favorite cities to visit! WOW! I’d love to visit this place. WOW Chilly– you were in Martinsville when it happened?!? 🙁 That must have been sad. Yes, I was there. A real sad time for sure and can still remember that day as if it’s was yesterday. But wasn’t in a race that he got killed. It was in a test/practice session a couple of days before the race. We almost didn’t go back to for the race because it really made the race a downer as I figured it would. Sad day for the racing world for sure to lose such a good race driver. Thought of me? WOW! Thank you so much. I do love anything to do with anything fast on wheels. Dude i live in rome. Trust me its not t hat exsiteing. I would never take a vacation to a place like this. the best thing about this place is my friends are here. i know the person who painted the mural. she helped me get better at art. Really, Amanda!? 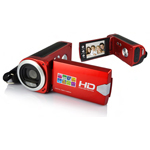 That is so cool! He did a phenomenal job; I just love the mural.